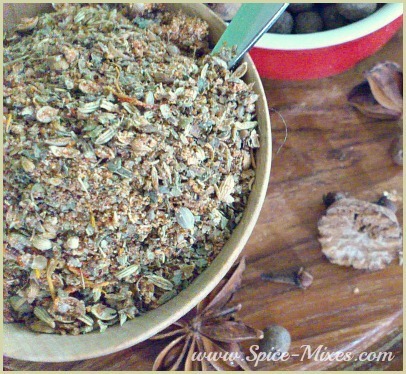 This is a collection of popular homemade spice mix recipes ideal for tasty, natural home cooking. They are made with whole ingredients that are toasted before grinding and then combined with pre-ground powders and dried herbs to recreate authentic flavours and aromas from all around the world. Note: For the best flavours and aromas, I recommend using as many whole spices as possible in the recipes below. However, if you don't have them all available, use pre-ground powders and reduce the amounts by half. To really extract the flavours, aromas and colours out of the above, I advise toasting the whole ingredients before grinding. This releases the essential oils and greatly enhances them. It's such a simple process and in most cases can be done in less than ten minutes.